After the success of the World Darts Trophy in Utrecht, Ad Schoofs launches the International Darts League in The Hague. The playing system is the same as the champion’s league in football, but the public appeal is disappointing. In front of his own home “The Hague” crowd, Barney is by far the most successful player ever. Winning the tournament in 2003, 2004 and 2006. Every player plays every day making it a tough event to win. Fire destroys the initial venue in 2004, so the organisation shifts venue to Zoetermeer for one year. In 2006 the players say goodbye to The Hague for good. From 2006 onwards play commences in Nijmegen, including PDC players to make the event even more interesting for the crowd. BUT... Public appeal still lacks compared to other events. It seems a matter of time before the plug is pulled from the tournament. In 2008 the PDC withdraw their players from the tournament and with that interest from Dutch TV also disappears. After a long legal battle the IDL is cancelled. 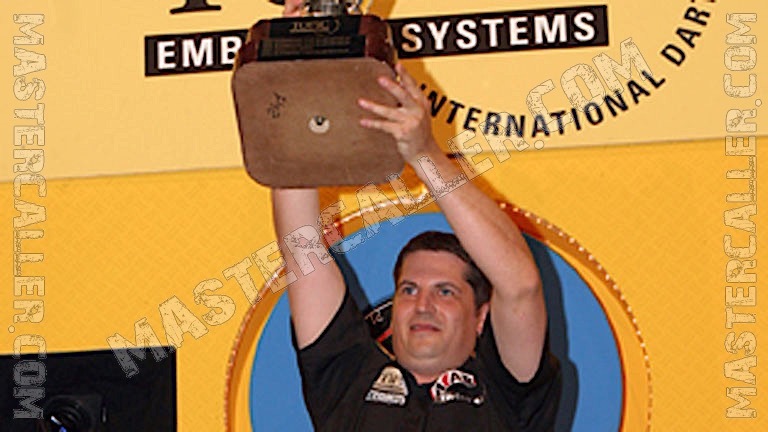 The International Darts League 2007 will always remain in the history books. Not only because of the title of Gary Anderson, but also because this is the first tournament in history where two nine-darters are thrown. On May 8 Phil Taylor hits a nine-darter in his match against Raymond van Barneveld. One day later Tony O'Shea repeated the feat against Adrian Lewis. Initially there was only one car as a price for the first nine darter, but later a second car is delivered so that O'Shea is also rewarded for this piece of history.